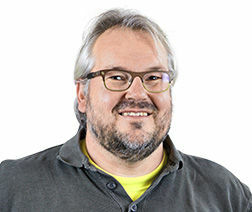 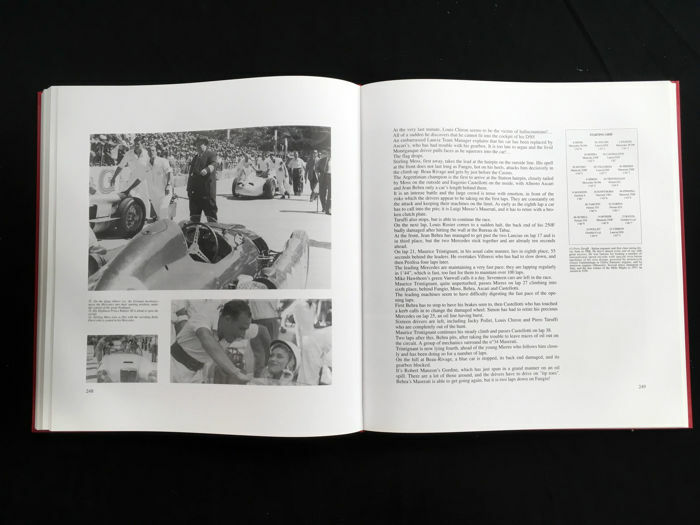 Extent: 33x30cm, 376 pages. 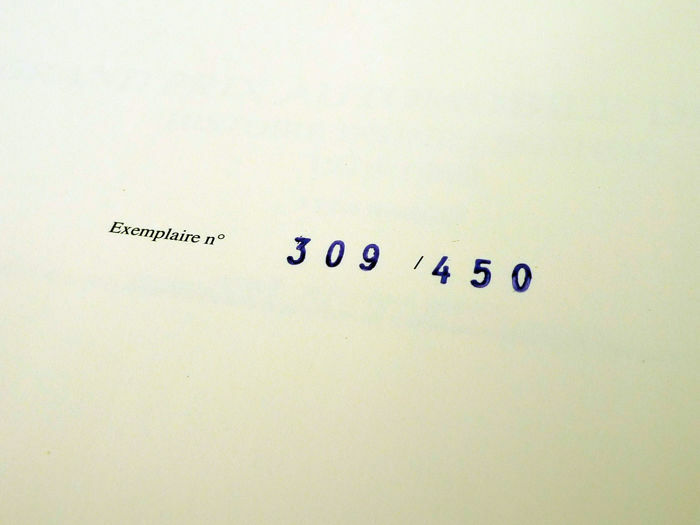 French text, numbered limited edition. 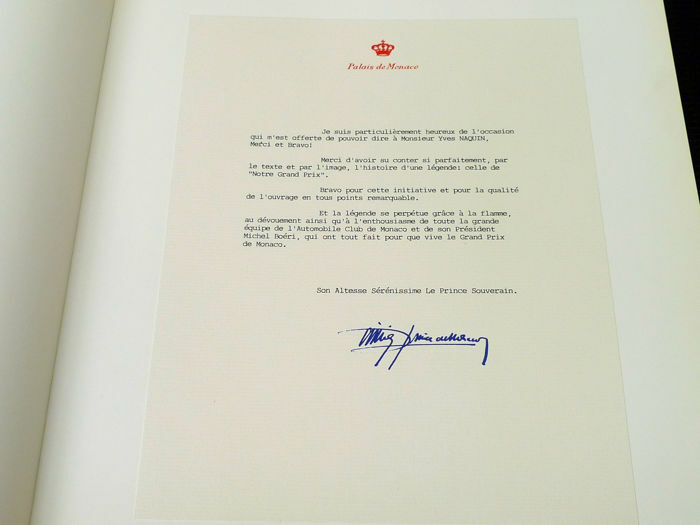 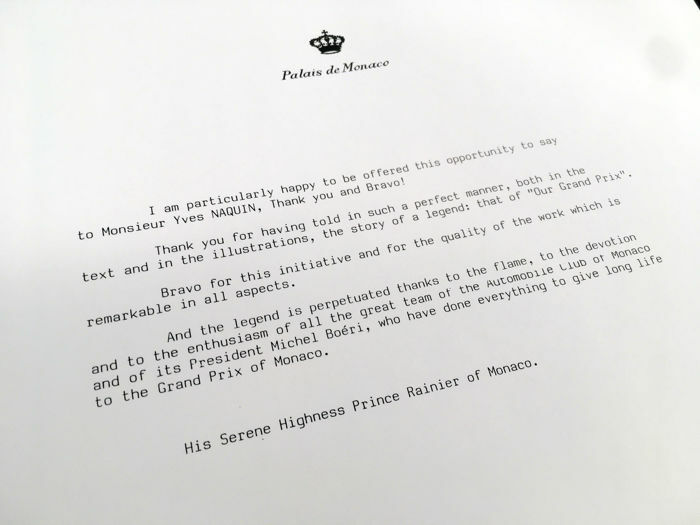 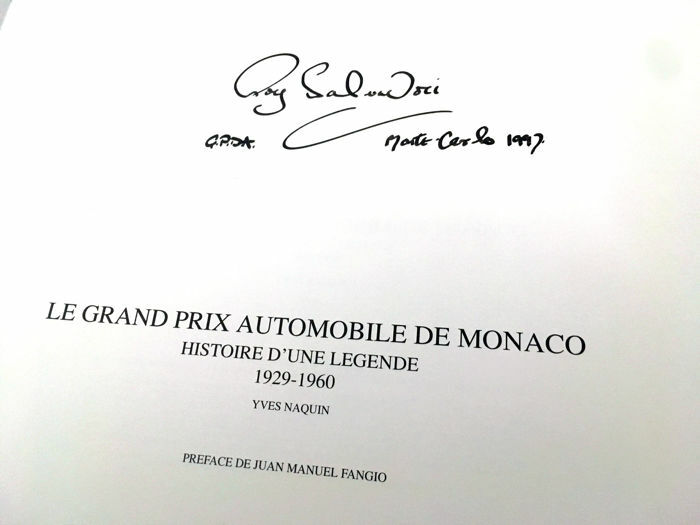 Foreword by Juan Manuel Fangio & Acknowledgement from Prince Rainier, Palais de Monaco. 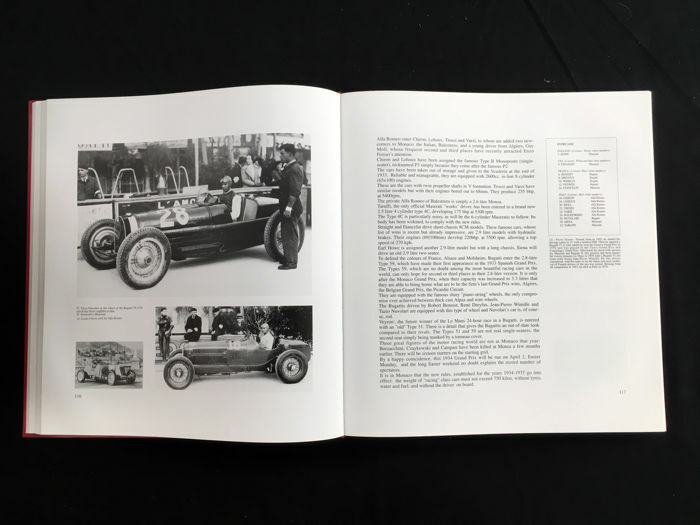 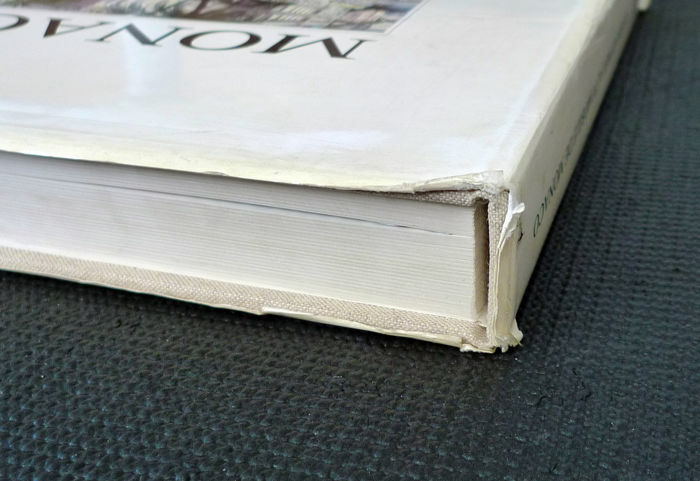 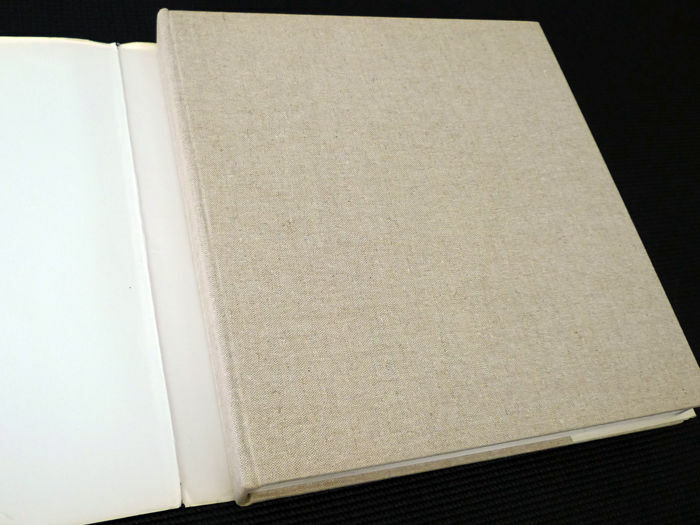 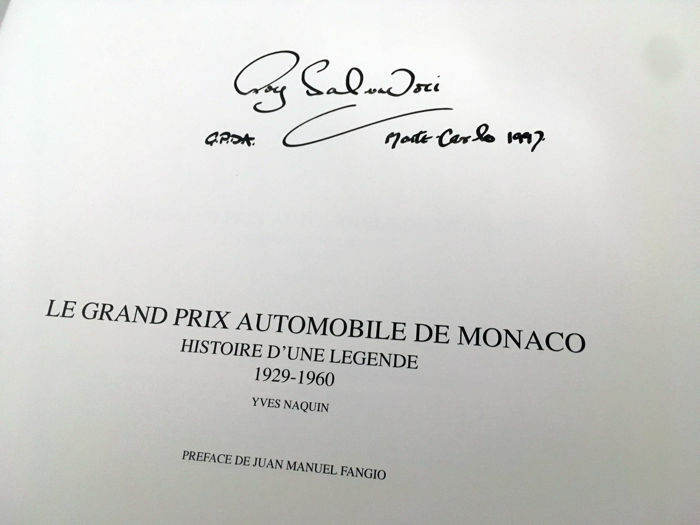 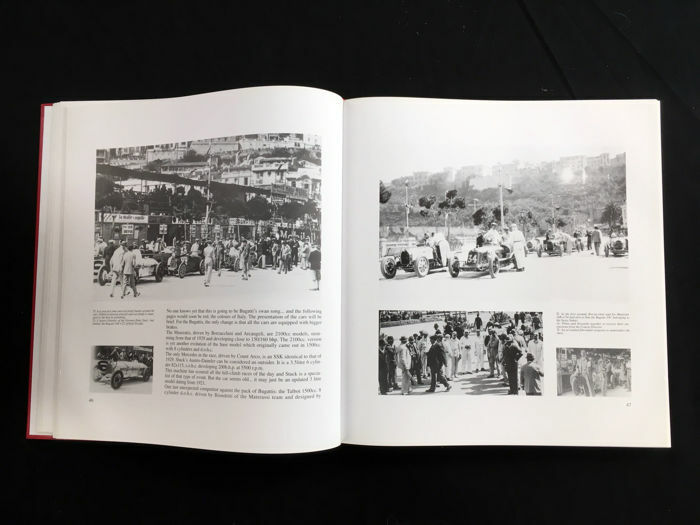 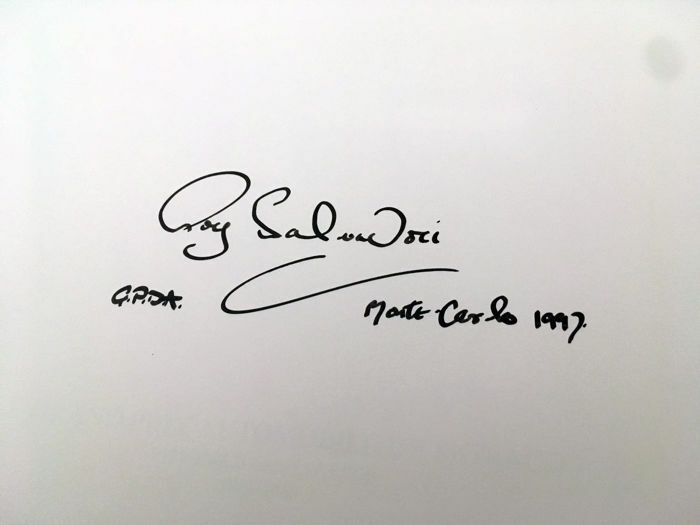 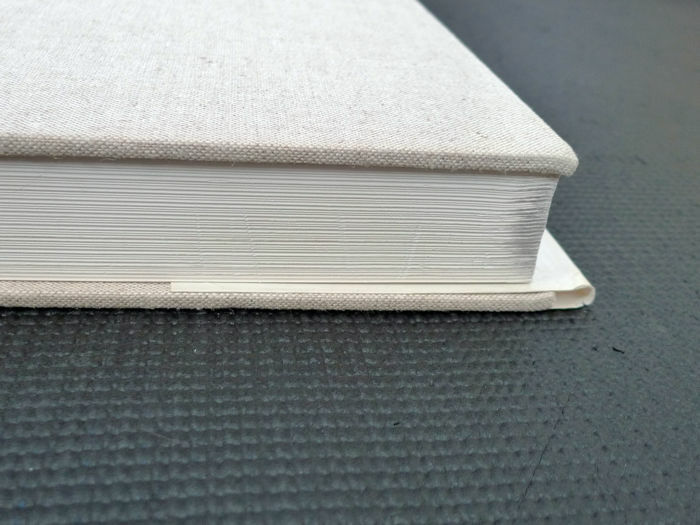 This copy signed by Roy Salvadori (Grand Prix Drivers' Association) and dated Monte-Carlo 1997, numbered 309/450, beige canvas bound edition of the book, with dust jacket. 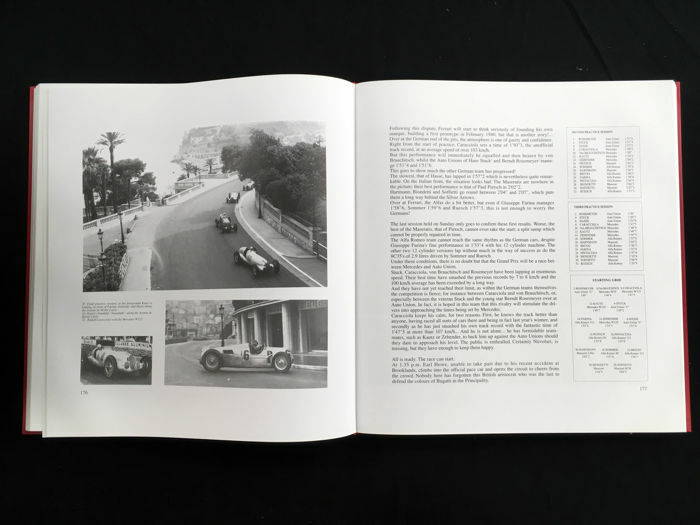 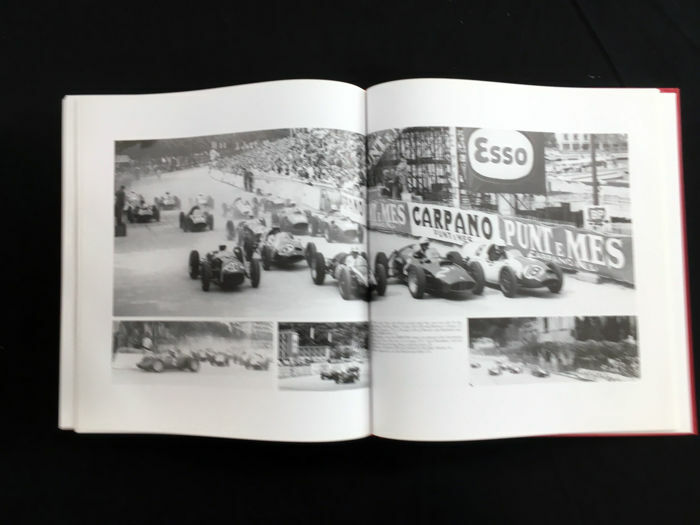 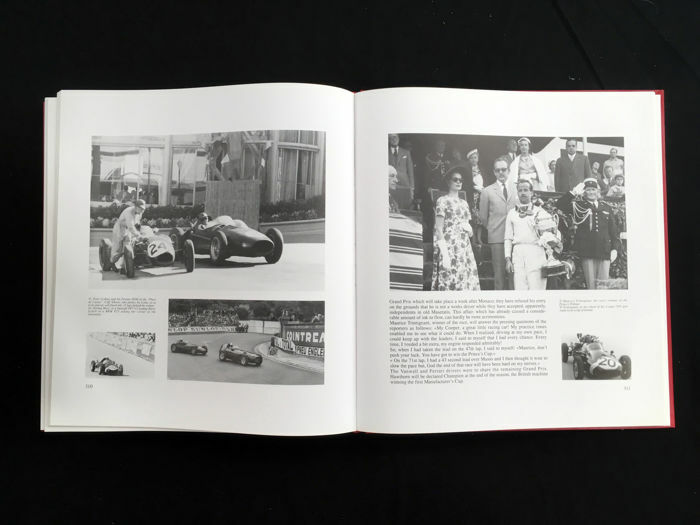 Definitive history of the Monaco Grand Prix from inception to 1960, a watermark year before the circuit changed, thoroughly researched and illustrated with very high production values. 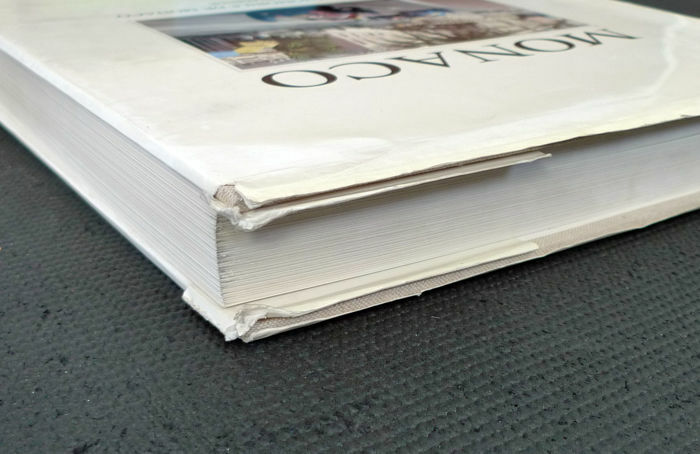 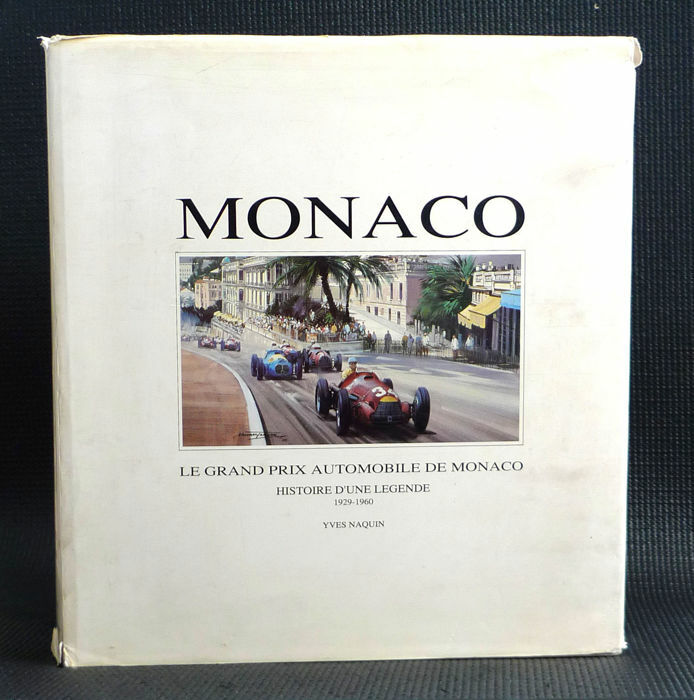 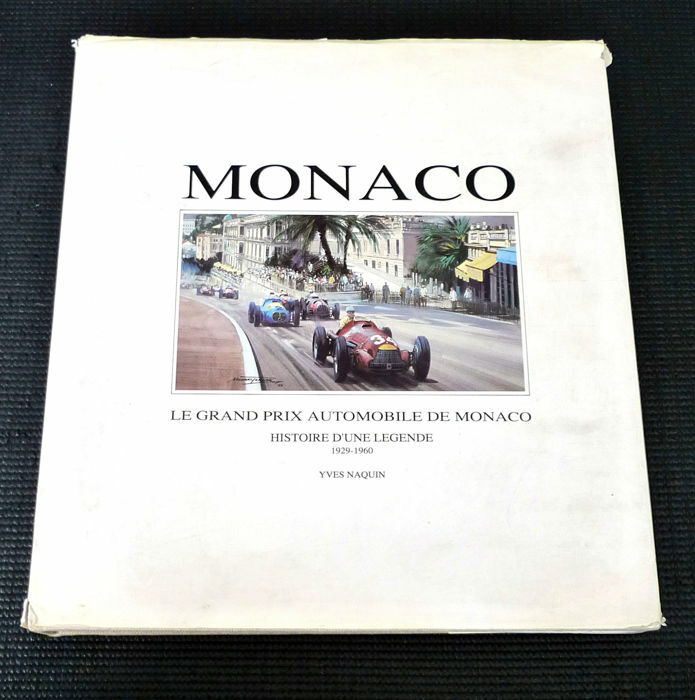 Good condition, some signs of use, this book is believed to have been part of the GPDA library housed in Monaco, used by the members.